Niagara Falls vacations and packages at the Travelodge At the Falls on Clifton Hill are your best choice for fun and value. We offer you a diverse variety of packages for the whole family. Let us help you begin your day in Niagara Falls Canada by booking one of our popular vacation packages. Right on Clifton Hill, only one block to the Falls, next to Casino Niagara, one block to The Hornblower, a short block to Niagara Parks and the Journey Behind the Falls. A five minute drive to Marineland Niagara Falls. We have the best location! To learn more about the Niagara Falls Packages that we offer just browse at your leisure or better yet, give as a call at 1-866-919-0303 and one of our representatives will be very happy to assist you and help you plan your Niagara Falls Vacation. Stay with the confidence that you will be received with warm hospitality and unmatched customer service. 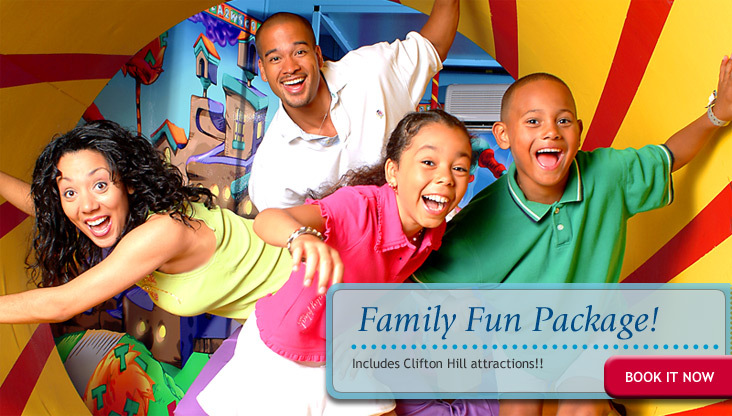 Family and Fun go hand in hand with our Family Fun Package. Enjoy great accommodations, Clifton Hill attractions, Ruby Tuesday meals. Enjoy a romantic getaway weekend with that special someone. Awaken all your senses with relaxing dinner, wine or Champagne, a Heart Shaped Jacuzzi. 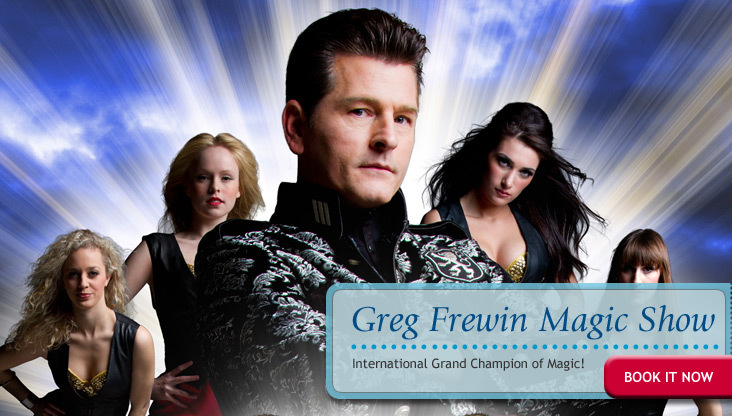 Experience the mystery and art of illusion with Greg Frewin, one of the most decorated magicians in the world. Your imagination will be captivated. The Winter Festival of Lights turns Niagara Falls into a winter wonderland. Winter time, Christmas time is also time for fun for the whole family. With Niagara's world class entertainment just one block from our front door, take a chance book this package and give lady luck a run for her money. Experience the Falls in a whole new way! An exciting combination of terrific scenery and the thrill of a helicopter ride. 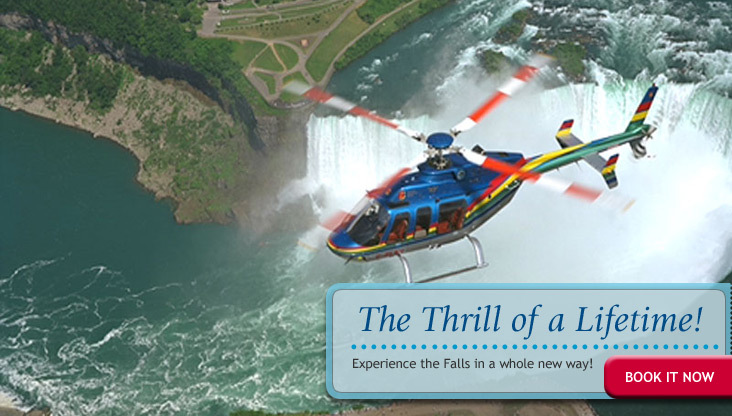 Fly with Niagara Helicopters for a ride of a lifetime. Enjoy an afternoon delight, multi-course lunch or dinner wine tour. Eat at beautiful courtyard settings, taste the wines, tour a winery. Sit back and enjoy this amazing tour. It's a spooktastic experience you've got to see to beleive! A horrifying experience!